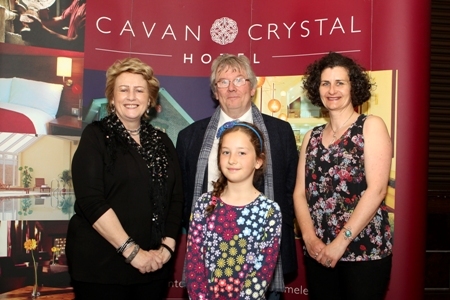 The 26th Windows Annual Student Poetry Competition took place at the Cavan Crystal Hotel on Sunday 20 May and Heather Brett performed the Ceremony. 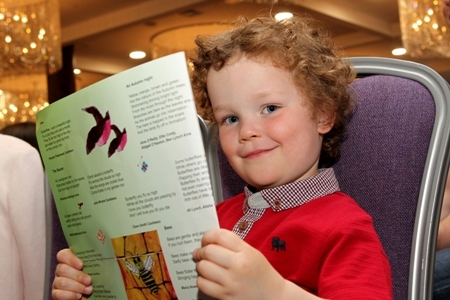 The event was attended by an audience of 250 people including children and young people. 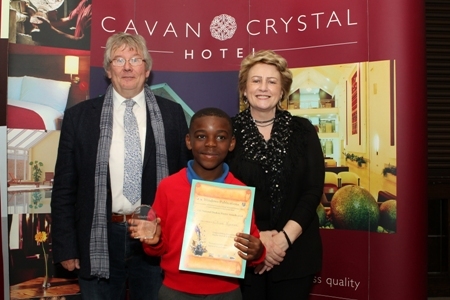 Fifty certificates of merit were awarded on the day. 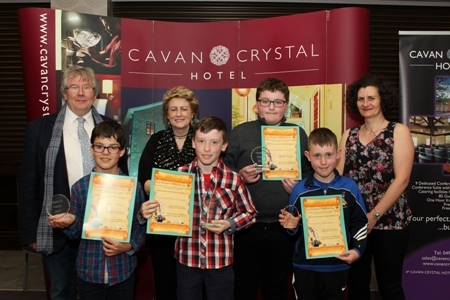 In addition runners up in the Senior, Junior and Irish Category were acknowledged. 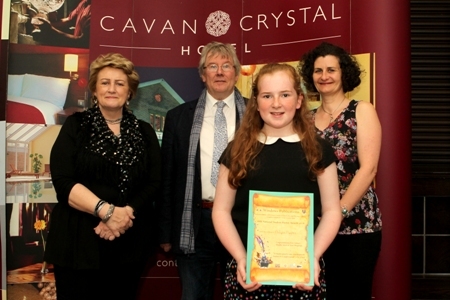 A special category on Heritage was sponsored by the Heritage Office, Cavan County Council and the first place went to Ella Briody, a student at St Patrick’s National School, Gowna with her poem entitled ‘Making a Connection’. 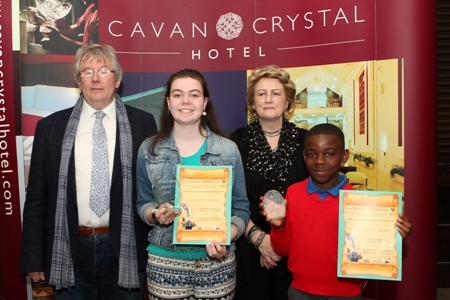 A very special part of the afternoon was the contribution of the winning poets in the Junior, Senior and Irish Categories. 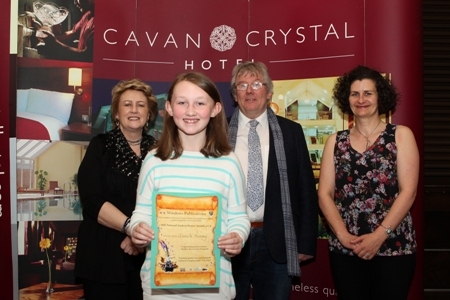 The Irish Category was won by Kate Gaughan who performed her poem ‘An Farraigeach’ with feeling and depth. 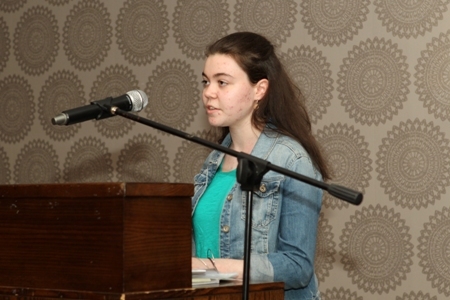 This is the second year that Kate from Foxford, Co Mayo secured first place and the first time in the history of the competition that the same student won two years in a row. 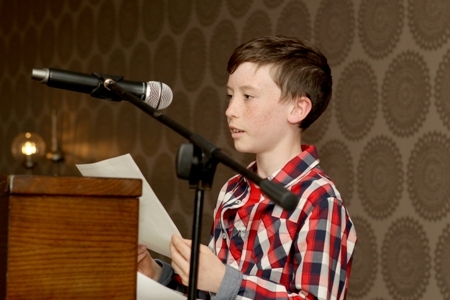 In the Junior Category, Brien Mc Dwyer from St Mary’s N.S. 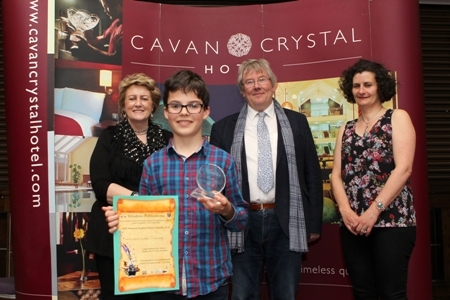 Belturbet won with a short and beautifully crafted poem entitled ‘Chess’. 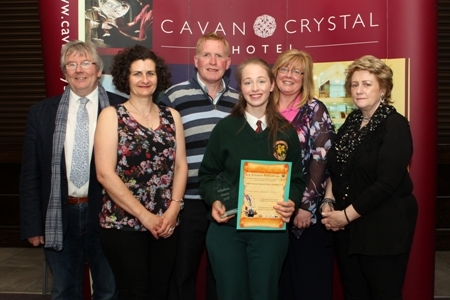 The Senior Category first place went to Laura Tilson from the Royal School Cavan with a poem titled ‘Christmas not forgotten’ inspired by a dear friend who is now departed. 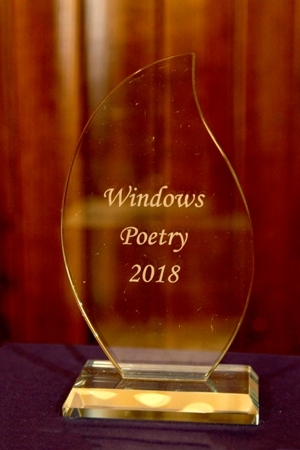 Laura came second in the senior category in 2017. 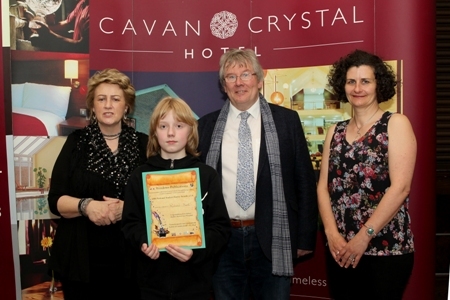 Heather Brett and Noel Monahan have for the past 26 years worked on this project in a voluntary capacity to encourage children and young people to give voice to their emotions, hopes and desires. 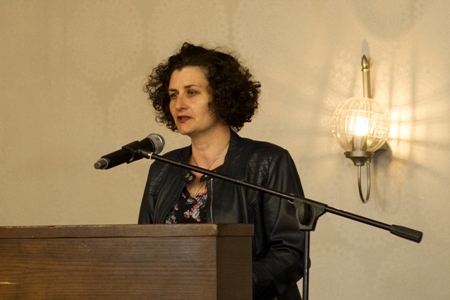 Every spring they dedicate hours to the reading of poetry from the students. 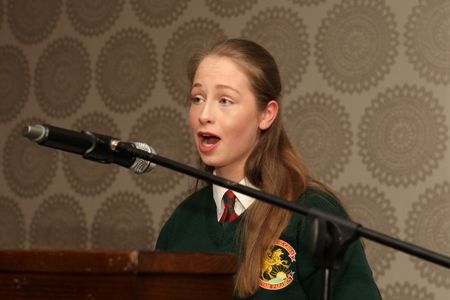 Catriona O Reilly, arts officer complimented the Editors for their commitment to poetry and young people. 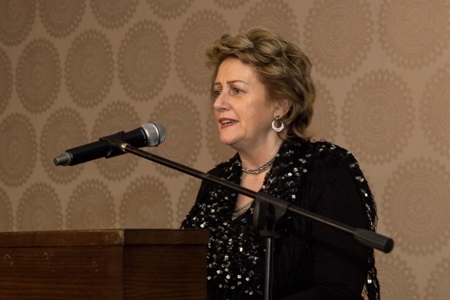 Heather Brett said to the attentive audience yesterday. 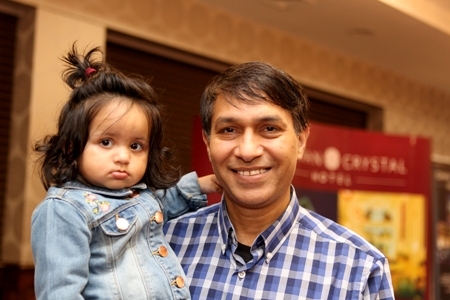 “It is a great pleasure reading these poems. 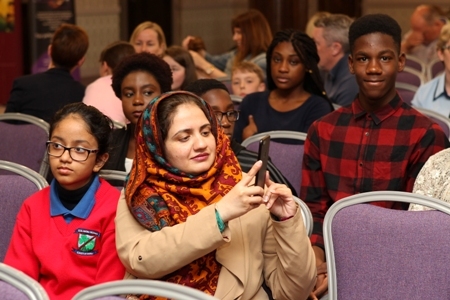 We want to hear the voices of young people telling us plainly about how you feel and see the world.” The Editors thanked all the children and young people who entered the competition. 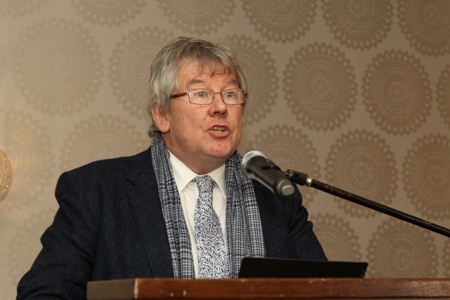 Over 1,300 entries were received for the competition in 2018. 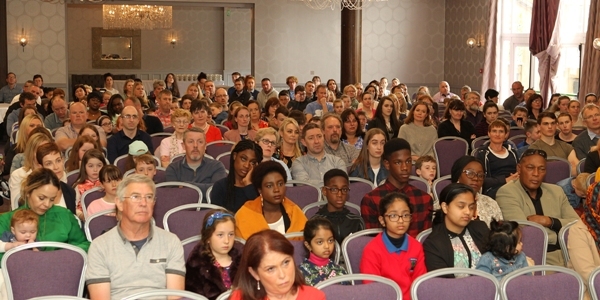 Tributes were paid to the teachers who encourage the young writers and the parents who support their children in their creative endeavours. 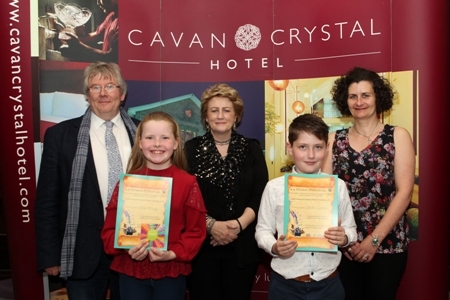 The Members of Cavan County Council through the Arts Award supported the Windows Student Poetry Competition in 2018. 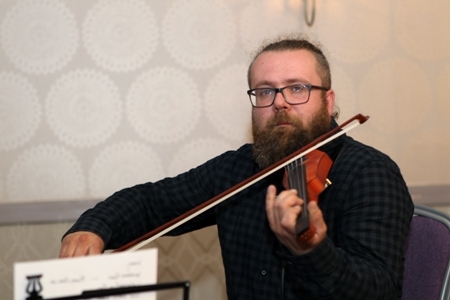 Music was provided by Rafal Szydlowski and Darragh Slacke. 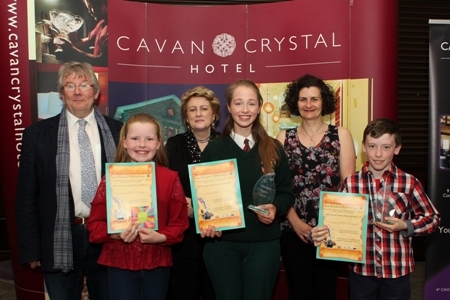 A selection of photographs of the audience, certificate and award winners at the Awards Ceremony at the Cavan Crystal Hotel. 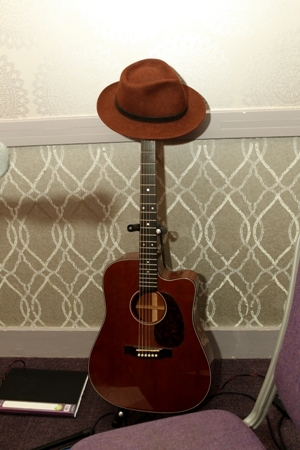 Photos by Adrian Donohoe.